Hardy Thomas. The Return of the Native. MacDonald, John D. On The Run. From The Great Gatsby to A Farewell To Arms, from	The Faded Sun to Analog Science Fiction, we can help you find the fiction & literature books you are looking for. As the world's largest independent marketplace for new, used and rare books, you always get the best in service and value when you buy from Biblio.co.nz, and all of your purchases are backed by our return guarantee. The Hobbit tells the famous story of Bilbo Baggins, a hobbit who is caught up in the affairs of wizards. His journey through Mirkwood and the climactic confrontation with the dragon Smaug served as the launching point for Tolkien's transformative trilogy, The Lord of the Rings. Many of the essential elements of Tolkien's classic saga have their roots in this children's book. The first impression of the first edition ran as a limited printing of 1500 copies, and authentic copies with the dust jacket will include a well known hand correction, in black ink, of a misspelling of the last name of Reverend Charles Dodgson (better known as Lewis Carroll) on the back flap. 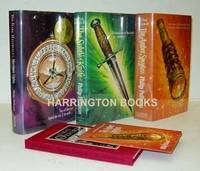 A first edition, first printing of the original U.K. edition can run over $40,000. 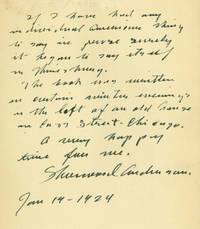 Signed copies of this edition have been appraised at over $100,000 U.S. Later printings of the first edition also retain much value for collectors. The first U.S. 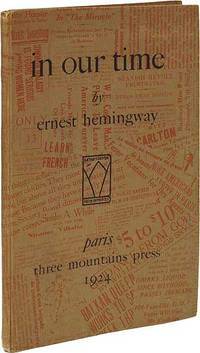 Edition, printed in 1938 by Houghton Mifflin Company, is prized and is commonly sold to collectors at prices well over $2,000. Chips to the cover, a missing dustcover, wear to the spine, and damage to the map in the endpaper, are some of the more common flaws for this book. The story remains popular, and stands as one of the most enduring (and endearing) stories of the last century. The Hobbit sparked a creative explosion in speculative fiction, a fire that burns brightly to this day. The revival in interest in recent years, in part due to the popularity of the film series inspired by Tolkien's books only shows the timelessness of his story, and the importance of his work. Tuesdays with Morrie is a 1997 non-fiction book by American writer Mitch Albom. The story was later adapted by Thomas Rickman into a TV movie of the same name directed by Mick Jackson, which aired on 5 December 1999 and starred Hank Azaria. It tells the true story of sociologist Morrie Schwartz and his relationship with his students. Both the film and the book chronicle the lessons about life that Mitch learns from his professor, who is dying. After five years in hardcover, it was released as a trade paperback in October 2002. It was re-released as a mass-market paperback by Anchor Books in January 2006. According to this edition, 11 million copies of Tuesdays with Morrie are in print worldwide. Even though Lord of the Flies is a frequent submission on any banned books list, many high school students are first introduced to this classic piece of literature in their freshman English class. Using very young protagonists set in a harsh, wild environment, author William Golding's disturbing and engaging novel addresses the themes of human nature and personal welfare, often resulting in violence and murder. 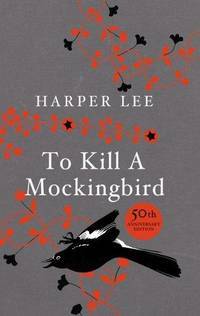 Despite its controversial subject matter, it is often considered one of the best novels of the 20th Century. Lord of the Flies turned Golding into a household name, and although Lord of the Flies was his most popular book, he remained a successful author long after its publication. In fact, Golding was awarded the Nobel Prize for Literature in 1983, where he remarked that he sought to “...illuminate the human condition in the world of today” through his novels. Published in 1954 in London by Faber and Faber, Lord of the Flies has sold over millions of copies worldwide. It has been translated into many languages, including Basque and Catalan. Evidently, even though the book focuses on the trials and tribulations of twelve young boys, the themes and archetypes resonate with all readers. Fahrenheit 451 (Ballantine Books, 1953) by Ray Bradbury is a dystopian novel that presents a future American society in which the masses are hedonistic and critical thought through reading is outlawed. Written in the early years of the Cold War, the novel is a critique of what Bradbury saw as issues in American society of the era. Bradbury combined two of his early short stories, "The Pedestrian" and "Bright Phoenix," into The Fireman, a novella published in the February 1951 issue of Galaxy Science Fiction. Bradbury's publisher at Ballantine Books then suggested that he expand the work to make into a novel—Fahrenheit 451. Publishedin 1978 The Faded Sun series by Cherryh has won much acclaim. Book #1 received the Hugo Award Nominee for Best Novel (1979) , Nebula Award Nominee for Novel (1978) , and Locus Poll Award Nominee for Best SF Novel (1979). At Home in Mitford is a novel written by American author Jan Karon. It is book one of The Mitford Years series. 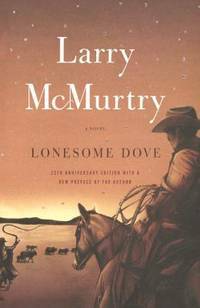 The first edition was published in hardcover format by Doubleday in 1994. Penguin Books published the paperback edition in 1996. A Room of One's Own was first published in October 1929 in the UK and USA alike as a limited edition run of 492 numbered, signed copies. The first English edition and impression was released three days later with the Vanessa Bell dust jacket, published by Hogarth Press, the Woolfs' own publishing house. The first US edition was published by Harcourt Brace & Co. The Unconsoled (1995) is a novel by Kazuo Ishiguro, winner of the Cheltenham Prize. It is about Ryder, a famous pianist who arrives in a central European city to perform a concert. However, he appears to have lost most of his memory and finds his new environment surreal and dreamlike. He struggles to fulfill his commitments before Thursday night's performance. The novel takes place over a period of three days. Dragonflight is the first book in the long-running Dragonriders of Pern series by Anne McCaffrey. The first segment of Dragonflight was a 1968 Hugo award–winning novella (called Weyr Search) prior to publication of the entire book. The second segment (called Dragonrider) received a Nebula Award in 1968. The White Tiger is the debut novel by Indian author Aravind Adiga. 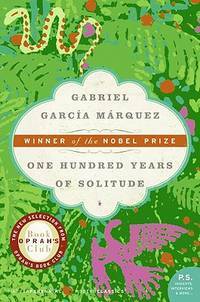 It was first published in 2008 and won the Man Booker Prize for the same year. The novel studies the contrast between India's rise as a modern global economy and the main character, who comes from crushing rural poverty. Knots and Crosses is a 1987 crime novel by Ian Rankin. It is the first of the Inspector Rebus novels. It was written while Rankin was a postgraduate student at the University of Edinburgh. In the introduction to this novel, Rankin states that Rebus lives directly opposite the window in Marchmont that he looked out of while writing the book. 61 Hours is the fourteenth book in the Jack Reacher series written by Lee Child. It will be published on 18th March 2010 in the UK and 18th May 2010 in the USA. Vernon God Little is the Booker Prize winning debut novel of Australian-born author DBC Pierre, the pseudonym used by Peter Warren Finlay. Since 1978 Timothy Zahn has written nearly seventy short stories and novelettes, numerous novels, and three short fiction collections, and won the Hugo Award for best novella. Timothy Zahn is best known for his Star Wars novels: Heir to the Empire , Dark Force Rising , The Last Command , Specter of the Past , Vision of the Future , Survivor’s Quest , Outbound Flight , and Allegiance , and has more than four million copies in print. His most recent publications have been the science fiction Cobra series and the six-part young adult series Dragonback. He has a B.S. in physics from Michigan State University, and an M.S. in physics from the University of Illinois. He lives with his family on the Oregon coast. From the Hardcover edition. In his only work of political satire, The Short Reign of Pippin IV , John Steinbeck turns the French Revolution upside down as amateur astronomer Pippin Héristal is drafted to rule the unruly French. Steinbeck creates around the infamous Pippin the most hilarious royal court ever: Pippin’s wife, Queen Marie, who might have taken her place at the bar of a very good restaurant”; his uncle, a man of dubious virtue; his glamour-struck daughter and her beau, the son of the so-called egg king” of Petaluma, California; and a motley crew of courtiers and politicians, guards and gardeners. This edition includes an introduction by Robert Morsberger and Katharine Morsberger. V. S. Naipaul was born in Trinidad in 1932. He has published more than 20 books of fiction and nonfiction, including A House for Mr. Biswas , A Bend in the River , The Enigma of Arrival and An Area of Darkness . He lives in Wiltshire, England. 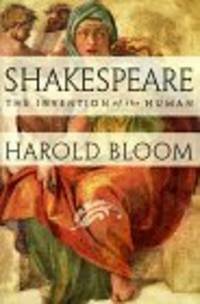 He was knighted in 1990 and received the Nobel Prize in Literature in 2001. Winner of the Whitbread Award for best novel and a finalist for the Man Booker Prize, The Accidental is the virtuoso new novel by the singularly gifted Ali Smith. Jonathan Safran Foer has called her writing "thrilling." Jeanette Winterson has praised her for her "style, ideas, and punch." Here, in a novel at once profound, playful, and exhilaratingly inventive, she transfixes us with a portrait of a family unraveled by a mysterious visitor.Amber--thirtysomething and barefoot--shows up at the door of the Norfolk cottage that the Smarts are renting for the summer. She talks her way in. She tells nothing but lies. She stays for dinner.Eve Smart, the author of a best-selling series of biographical reconstructions, thinks Amber is a student with whom her husband, Michael, is sleeping. Michael, an English professor, knows only that her car broke down. Daughter Astrid, age twelve, thinks she's her mother's friend. Son Magnus, age seventeen, thinks she's an angel.As Amber insinuates herself into the family, the questions of who she is and how she's come to be there drop away. Instead, dazzled by her seeming exoticism, the Smarts begin to examine the accidents of their lives through the searing lens of Amber's perceptions. When Eve finally banishes her from the cottage, Amber disappears from their sight, but not--they discover when they return home to London--from their profoundly altered lives.Fearlessly intelligent and written with an irresistible blend of lyricism and whimsy, The Accidental is a tour de force of literary improvisation that explores the nature of truth, the role of chance, and the transformative power of storytelling.From the Hardcover edition.